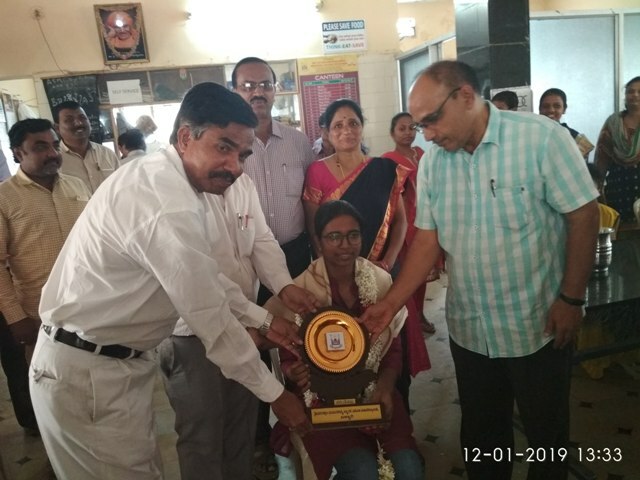 On 12th January 2019, the College Staff Club felicitated to our College First Rank Holder Ms.Kavya Bindu M, B.Sc.(P.C.M.) by the Principal Dr.S.Y.Thimma Reddy & IQAC Coordinator Dr.M.G.Nadagouda. The Staff Club Secretary, College Staff and Student Parents were present on the occasion.